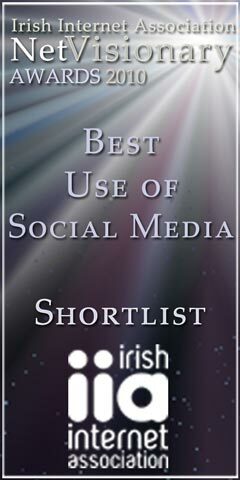 We’re delighted to be shortlisted in this year’s IIA Net Visionary Awards in the category “Best Use of Social Media”. The award ceremony will take place on May 20th in Dublin on the evening of the IIA Annual Congress. We have some fantastic memories from last years awards where we were voted “Best Online Trader”. There are some great people and businesses in this year’s shortlist and we’re flattered to be in the mix again this year. You can vote in our category here. Many thanks if you have given us your vote. Or vote in all the categories here.